Installation at the Ars Electronica festival in Linz, Austria. Source: Sarah Newman. Would you hurt a robot if it could feel pain? 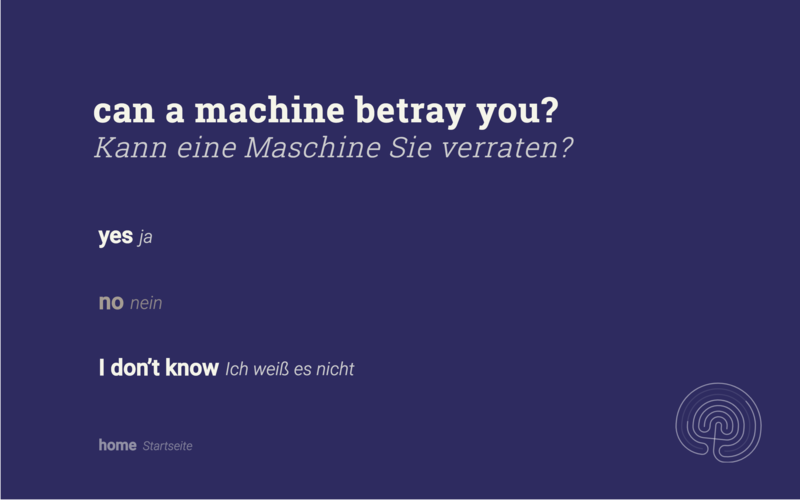 How will we know when a machine becomes sentient? What makes wrong wrong? Do you trust the calculator in your phone? 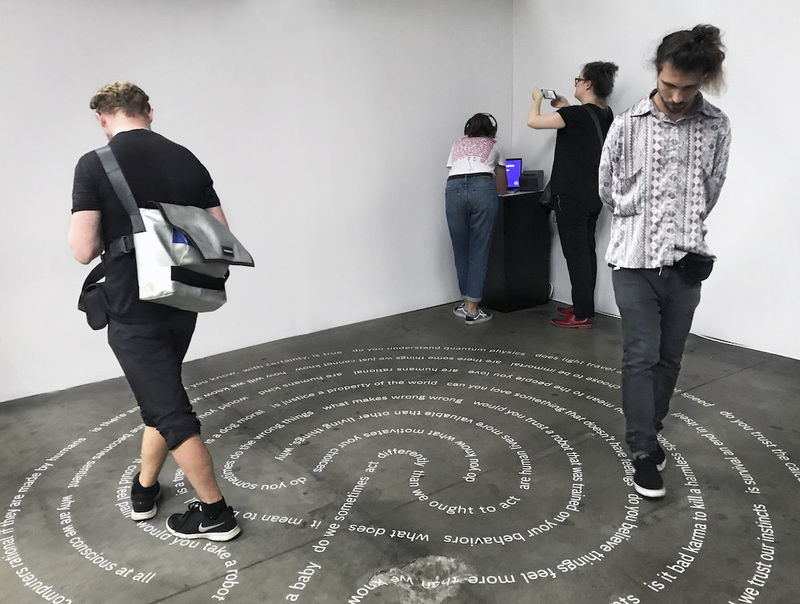 Moral Labyrinth is an interactive art installation that takes shape as a physical walking labyrinth, comprised of philosophical questions, and an individualized “digital” labyrinth on an accompanying laptop. It is inspired by questions in moral philosophy and the value alignment problem in artificial intelligence. Concept by Sarah Newman, a Creative Researcher and Principal at metaLAB (at) Harvard. 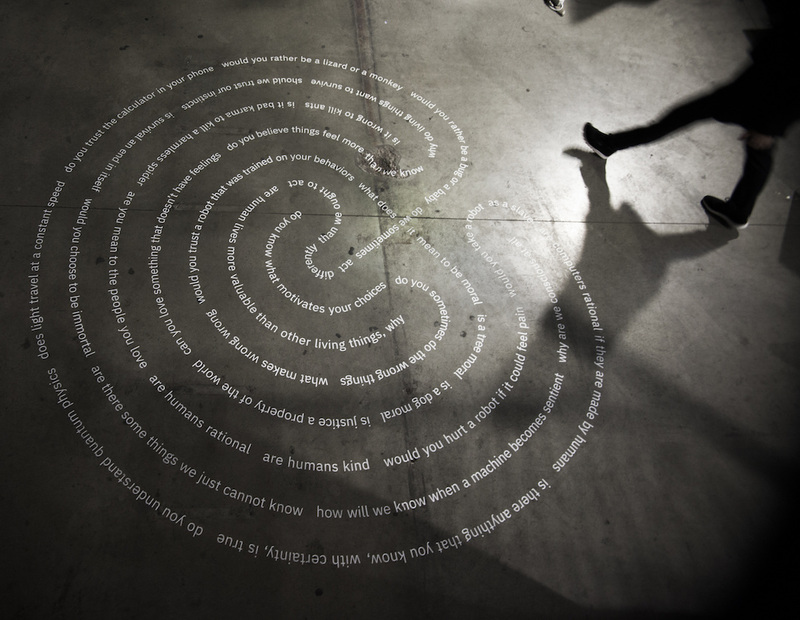 My role was to design and develop the digital labyrinth for the Ars Electronica festival, and integrate a repurposed thermal printer to make custom illustrations for users.